In my quest to be healthier I am always looking for some nom nom food. 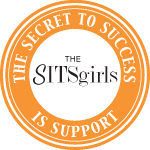 Here are three things that I happily discovered this week. I would like to disclose, this is not sponsored, I paid for everything and was super happy with my purchases. Just wanted to pass along the goodness to you my followers. Happy Friday! I went to see my bestie cuz this morning and she so graciously offered me breakfast. How could I say no, I hadn’t eaten a thing! We both are trying to each more natural foods, cutting out refined, grains and sugar and she turned me on to her homemade breakfast sausage. She gets ground pork from Fresh Market and browns it with 1 Tablespoon of the Penzey’s Breakfast Sausage Seasoning. It was FAB. Brilliant idea to me, make your own sausage flavored pork or whatever and you don’t have to worry about artificial stuff that can come with sausage. The downside to the spice, #2 ingredient is sugar if you are trying to avoid it and it has dextrose in it if you are avoiding anything ending in -ose. Its 6 calories per tablespoon so it can’t be THAT much sugar, right? My cuz had a leftover sweet potato she cubed, sauteed some spinach in a little olive oil and put them aside with the breakfast sausage flavored pork. 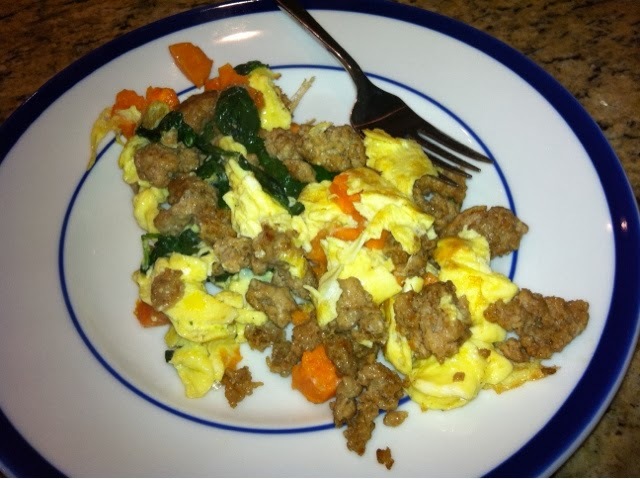 She scrambled one egg and when done, added in the the sausage, sweet potato, and spinach. Delish Breakfast Scramble with the super yummy sausage she made. Nom Nom Nom. Super easy to make and a hearty breakfast for a cold morning. Thanks Cuz! 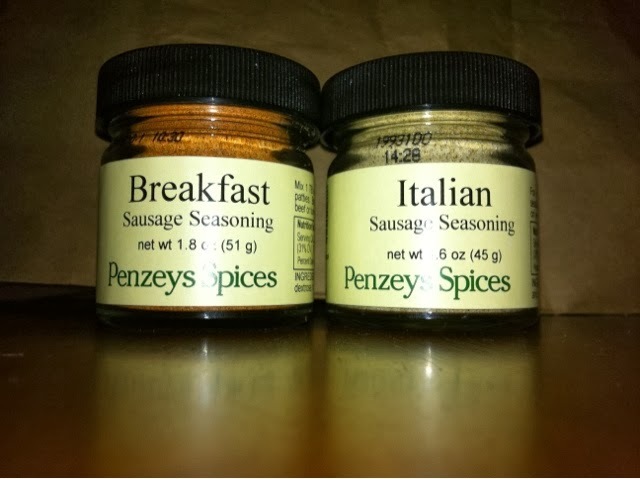 This Penzey’s Breakfast Sausage Seasoning is so good, I bought some today along with the Italian Sausage Seasoning! Luckily I was going to the shopping center with Penzey’s Spices in it, but if you want to try it you can order online. 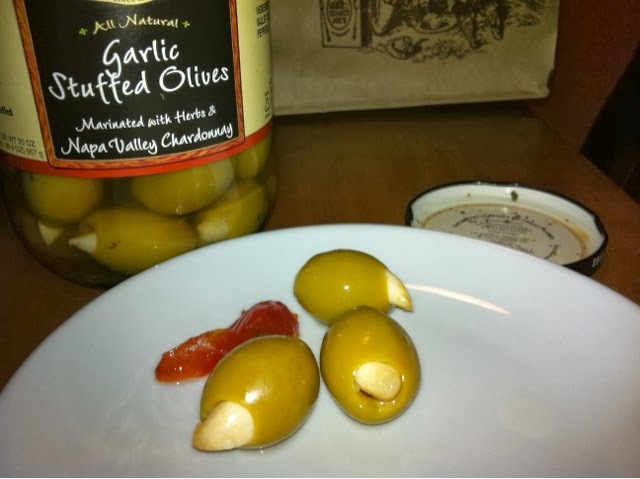 Whilst at the home of my cuz discussing eating options for our new plan, she asked if I had tried these olives stuffed with garlic. Why YES I HAD at Costco, but you know what, I didn’t buy them that day as I was focused on Christmas Shopping. 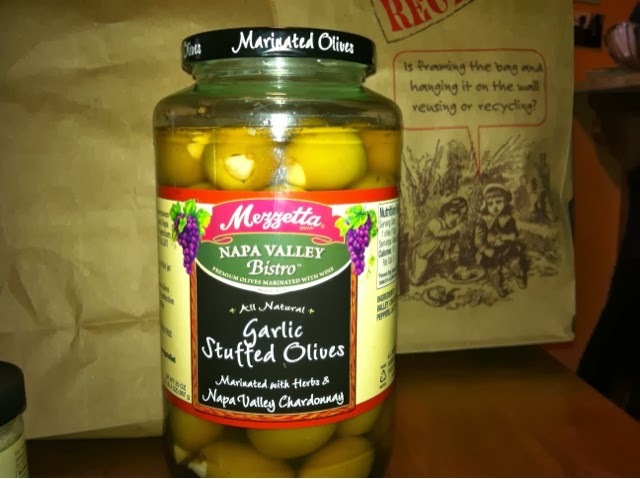 These are premium olives marinated with herbs and white wine and stuffed with garlic. So SINCE I was going to Costco after I left my Cuz’s abode, when I was shopping I added them to my cart. Holy heart healthy garlic. Got home and couldn’t wait to pop one in my mouth – so good and as I started to eat another I decided to throw some bib lettuce on a place put some olives on top with some leftover chicken from last night. Nice lunch. No sugar in these and all natural ingredients. YAY. Nom Nom Nom. 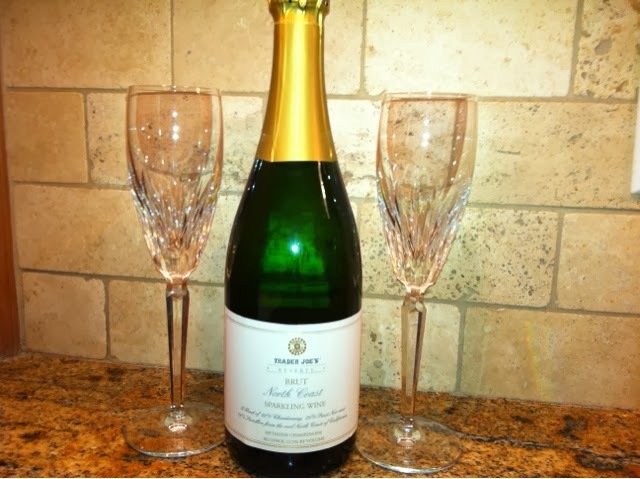 And finally you might have seen my Waterford o’bubbly on New Years Eve via instragram. I had been to Trader Joe’s that morning to get a few dinner supplies and they were sampling champagne….OK, wine snobs from France, it was ACTUALLY Sparking Wine Methode Champenoise – go to the Korbel vinyard sometime and they will give you the lowdown on why you can’t call anything produced outside of France “Champagne”. Anyhoo, it was 11am, but I was a fool to pass up a free wine and cheese tasting. 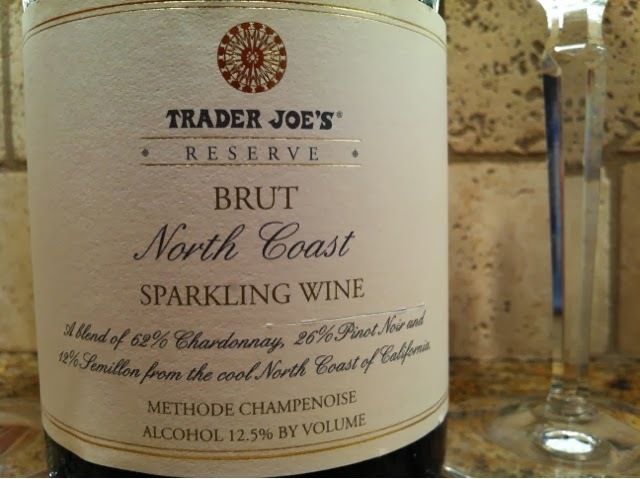 In my sampling of 3 wines, the best Sparkling Wine Methode Champenoise was this Trader Joe’s Reserve North Coast Sparking Wine. Just the right blend of not too dry and not sweet. So good even Mr. RWFR had a second glass on New Years. We snacked on some Asiago cheese with Rosemary and olive oil from Trader Joes as we rang in the new year with this smooth glass of bubbly. If you know your grapes, I don’t really, its made from 62% Chardonnay, 26% Pinot Noir and 12% Semillon. A bargain at $9.99. I went back to Trader Joes today specifically to get a couple bottles to have on hand for celebrations before its gone in the stores. See its gonna be a good year I can tell, so be prepared. Those are my finds. 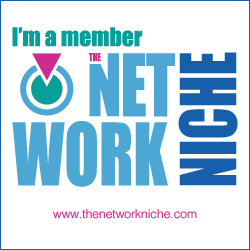 Did you find anything this week worth sharing. 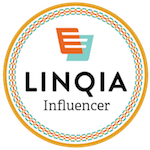 I am always looking for healthy recipes and food. Cuz I like to eat – and drink to, hence the Sparkling Wine. Any of this look good to you? Its very basic…. Salt, sugar, Paprika, black pepper, dextrose, nutmeg, Cayenne red pepper, sage and thyme. Made that pork super yum.